If you’re looking for a true Hawaiian ukulele, consider choosing an instrument made by Lanikai. Handmade on the island of O’ahu, these ukuleles offer an enticing combination of classic style, great sound, and premium construction, with many models available at surprisingly affordable prices. 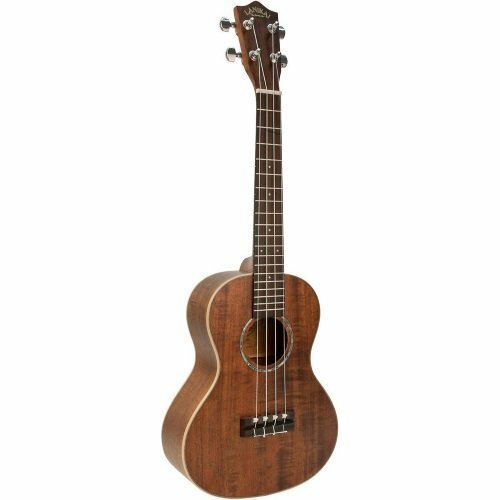 Our Top choice is the Lanikai LK-TEU Koa UkeSB Ukulele. It’s a great choice for both beginners and intermediate players. If you’re ready to step up a notch and want to record the music you play on your ukulele, then you may find the Lanikai LK-TEU Koa UkeSB Ukulele enticing. A USB output offers plug and play recording, and gold-plated Grover tuning machines add a gorgeous sheen. This tenor ukulele features a beautiful Koa wood body and genuine mother-of-pearl inlays. Offering simple, classic looks and a fantastic sound, the Lanikai LU-21C concert ukulele features a Nato top, back, and sides. Though simpler than some other Lanikai models, this one offers the fantastic tone and excellent playability for which these fine instruments are renowned. Exquisite Sailor Jerry Flash Art adorns the top and back of the Lanikai LUSJ-C Concert ukulele, which pays homage to the late Norman Collins. Constructed of mahogany, it features a rosewood fingerboard. The sound is full and rich, making for an outstanding playing experience. 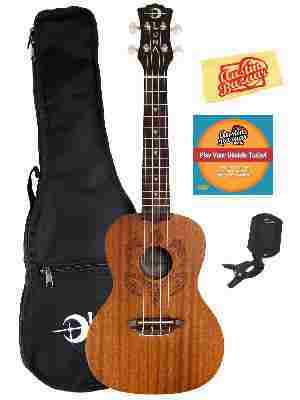 A beautiful appearance and lovely sound make the Lanikai TunaUke CMTU-S ukulele a pleasure to own and play. This 12-fret soprano ukulele features a gorgeous curly Hawaiian mango body, contrasting maple binding, a mahogany neck, and an iridescent abalone rosette. The adjustable saddle system means that this ukulele can be perfectly intonated, no tools needed. A cutaway body and stunning curly Koa top, back, and sides make the Lanikai CK-TEK ukulele stand out. Offering a crisp, classic tone, it features Fishman electronics and die-cast tuning machines geared 14/1 for greater tuning control. If you’re ready to take your playing to the next step, then you’ll want to give this one a look. 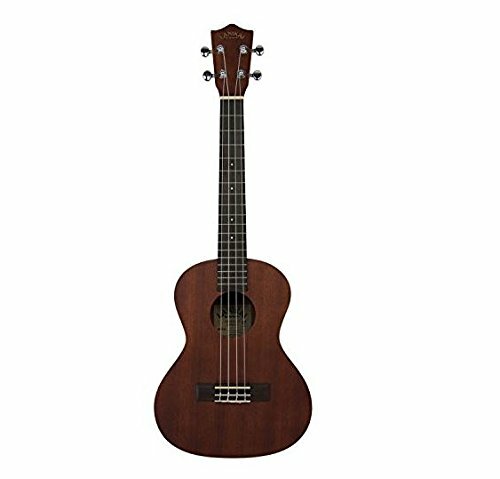 The Lanikai LU22CGC concert ukulele is a lovely little instrument, with a 4-string concert body, a sleek mahogany top, and a rosewood fretboard with 19 frets. Gold hardware adds a distinctive touch, and white body binding provides appealing visual contrast. Clear, bright sound is the icing on the cake – and something you might be surprised to hear from such an affordable instrument. With 18 frets and four die-cast tuners, the LU-21T offers an enticing combination of visual aesthetics and a pleasing sound. A lovely rosewood fingerboard and bridge provides just a touch of contrast, making the Nato wood laminate body stand out. A robust warranty inspires confidence in the manufacturer. 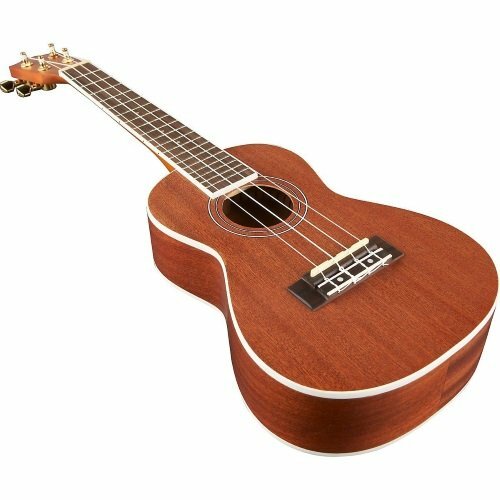 A lovely soprano-sized ukulele, the TunaUke SPTU-S lets you keep proper intonation, no tools needed. 12 frets, a solid spruce top, and mahogany back and sides combine to create lovely looks and a beautiful sound to match. Just gorgeous, inside and out. The Lanikai CKTU-T curly koa tenor TunaUke ukulele features a traditional curly koa body, a contrasting mahogany neck, and iridescent abalone fretboard inlays, binding, and rosette. Thanks to the adjustable saddle system, players can keep this ukulele perfectly intonated without the help of tools. Both simple and advanced chords are easy to play on this tenor ukulele; the sound is smooth, rich, and melodic. 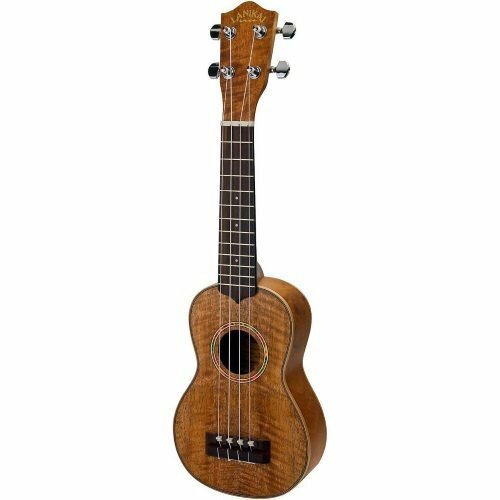 A stunning tenor ukulele that offers an irresistible combination of rich, full-body sound and attractive looks makes the Lanikai The Legacy Collection LU2-8EK an excellent choice for anyone who is ready to take a step up from a more basic ukulele. Fishman Kula Preamp and Chromatic Tuner comes standard, and an all-mahogany body is enhanced by white binding and a rosewood. Lanikai ukuleles are handcrafted on Hawaii’s island of O’ahu, with many models that pay homage to the first ukulele designs. With instruments that are suitable for every level from hobbyist to professional player, this brand offers a wide range of features and designs to satisfy different budgets. A cheap ukulele may be fine for a beginner, but the tinny, thin sound will soon grow old and such a uke will soon be discarded. Lanikai ukuleles are a pleasure to play, at a wide range of prices that are comparable to other top brands including Luna and Kala. A few models come in at less than $100, with prices increasing as features and premium materials are added. 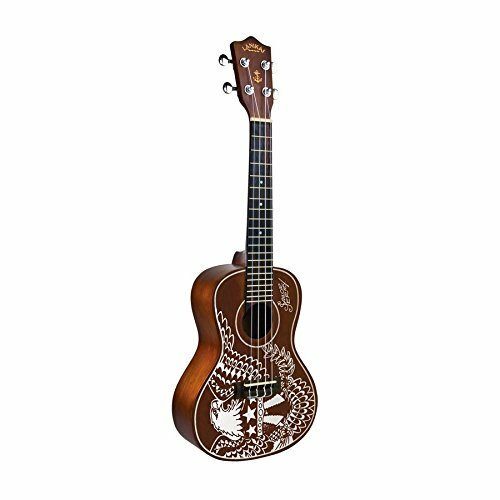 Whether you’re looking for a basic ukulele that you’ll enjoy playing as you learn, or are ready to progress to a better ukulele that bridges the gap between affordability and stage readiness, you are likely to find a Lanikai ukulele that suits your taste as well as your budget – all while meeting your needs perfectly. 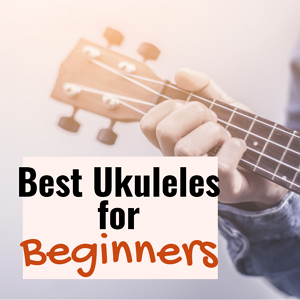 If you’re new to the ukulele and want to enjoy playing for friends, family members, or even a live audience at your local coffee house or brew pub, you’ll appreciate this list of resources. Choosing a Lanikai ukulele means you’ll soon own a classic Hawaiian-made instrument that’s worth showing off – so learn how to play a few hits that people will love singing along to. Soon enough, you’ll be the life of the party! 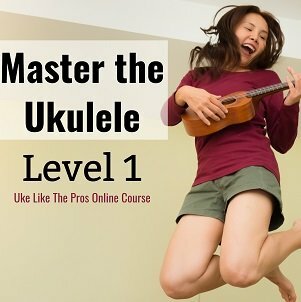 Learning Ukulele– Chords, tabs, songs, and so much more! Start out with a free lesson \*or two.